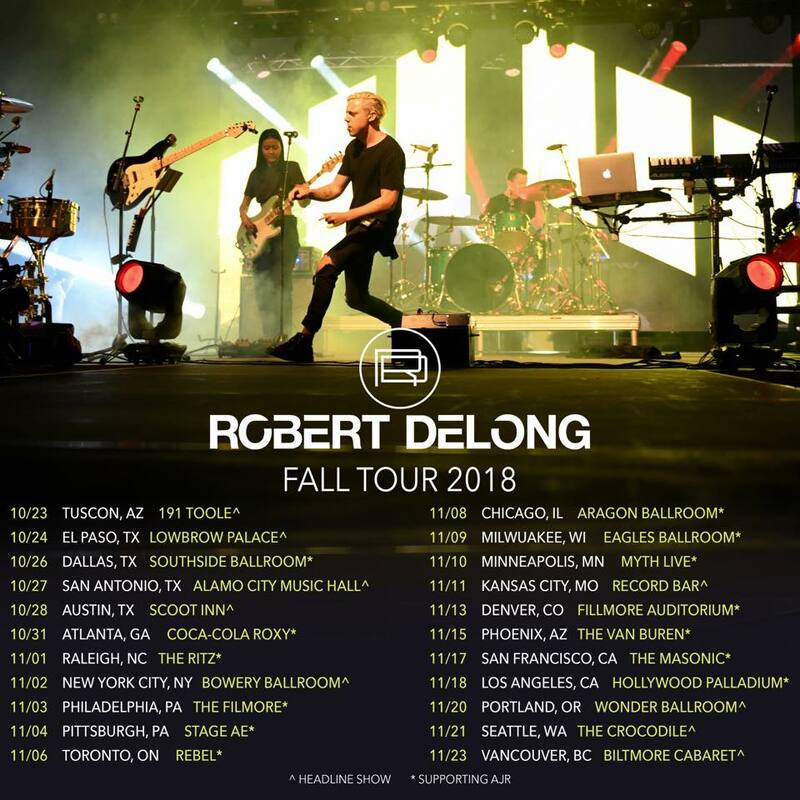 Hardin Bourke Entertainment : ROBERT DELONG - FALL TOUR 2018 - DATES ANNOUNCED! ROBERT DELONG - FALL TOUR 2018 - DATES ANNOUNCED! The dates for Robert Delong's Fall Tour 2018 have been announced! The tour will kick off on October 23rd in Tuscon, Arizona, and make its way throughout the East and West Coasts, ending in Vancouver, Canada on November 23rd! There are 22 dates in total, including headline shows and shows supporting AJR! Tour and ticket info HERE!